Relatively unknown across the pond (or even outside Japan), Esprique Select Eye Color is very popular among the local Vloggers and Instagram users. 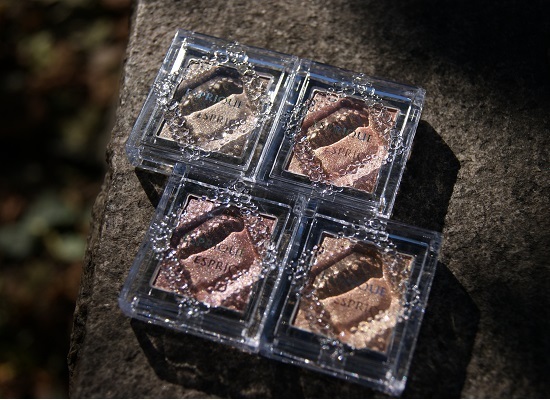 It was ranked rather high on Cosme.com (the Makeupalley of Japan), placing right after Addiction singles (also by Kose). After having tried their Fall 2016 shades, I decided I could have a few more of their singles. For my second round of haul (which means there will be a third and fourth). The entire range is categorized into highlight, bright, natural and deep colors. The natural ones look like they will blend right in (to my wardrobe and eyelids). The texture and performance are consistent with what I have tried. 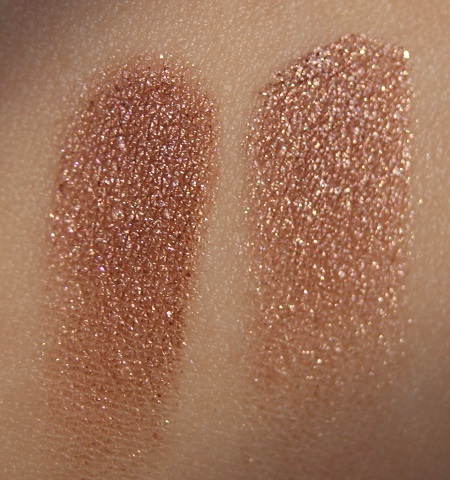 The singles are highly pigmented but can be sheered out very easily. Even though it might seem a little powdery on the brush, the adherence on the lid is very good and it stays fresh looking for a whole day without primer. It has a lovely see through, glossy finish on the eyes that brightens and defines at the same time. Each of the Select Eye Color has a long descriptive name with the number luckily the official English names are short. BR-302 Warm Brown - This is a golden peach with lots of orange but not much brown. I personally think it's a wearable orange that looks great as a single lid shade. It should be more flattering on fair skin with cooler undertone (I notice it some days it makes my skin look sallow). BR-303 It's named Mauve Brown but it's much more than a standard purply taupe. It got a wine (redder side of purple) undertone with a fine mist of hot pink sheen on top. It's complex, interesting and the blendable glossy finish also makes it very appropriate for daily wear. I love this shade and am trying hard to not hoard a backup. 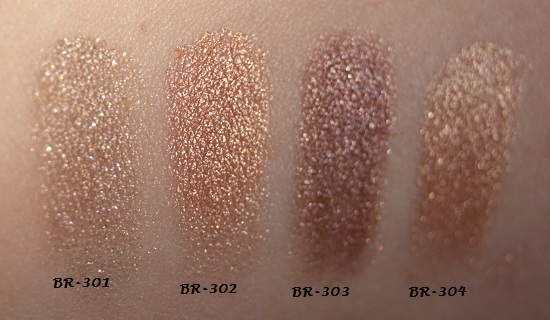 BR-304 Golden Brown. More of a medium golden beige that blends into a warm gold mist. It's too bland on its own but looks great with any boring brown underneath. BR-303 and BR-308 (also named Mauve Brown) from Fall 2016 LE, to show the reddish undertone. Sunset was skewing the color again. Overall: At its single digit (800yens) price point, these Esprique singles have exceptionally high quality. The only down side is that among the few gems, many of the shades are too simple that they need to be coordinated with other colors (something I am too lazy to do). Esprique does have some palettes but they don't hit the buzz at all(so I never tried any) and the formulation might be totally different from the singles. Alphabeauty is the only store I found without crazy markup/they are on ebay as well. They still have those duo palette left (with one single included) for you to make your own duo...The included shade is too boring for me though. Anyway, I am loving this store lately since they are so up to date with all the new releases (canmake, maquillage and Jill stuart etc). 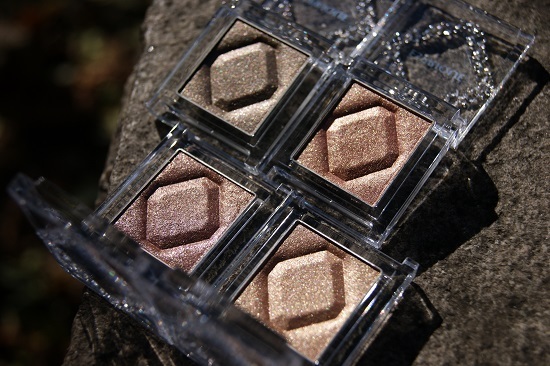 These look like they'd turn red on me, but I do like the shimmers! They probably won't, it's the sunset skewing the colors...But it's otherwise hard to get the complex shimmer to show up.